It’s almost time to get spooky. Halloween is right around the corner. If you’re like me, you don’t have a costume yet. So, I thought I’d check out ETSY and see what’s available. 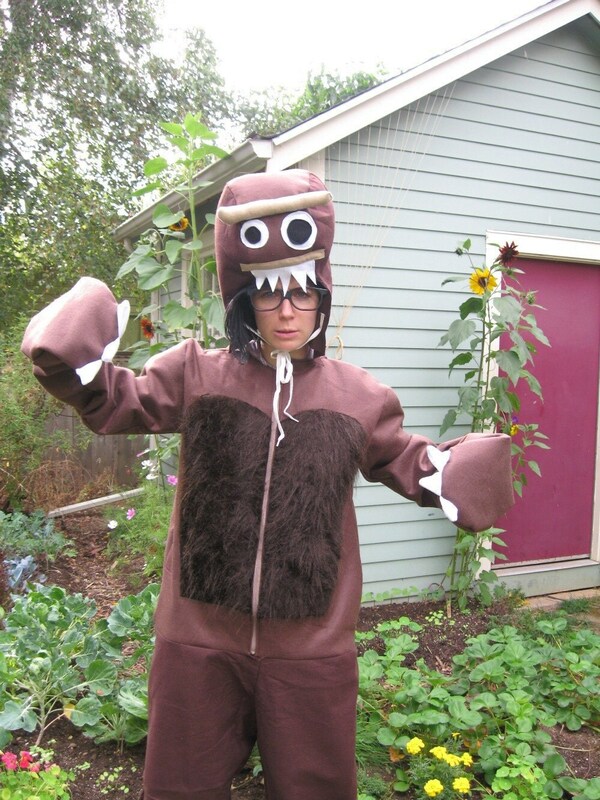 It would be a close call but you may be able to get the costume overnight delivered in time for Sunday’s Halloween. 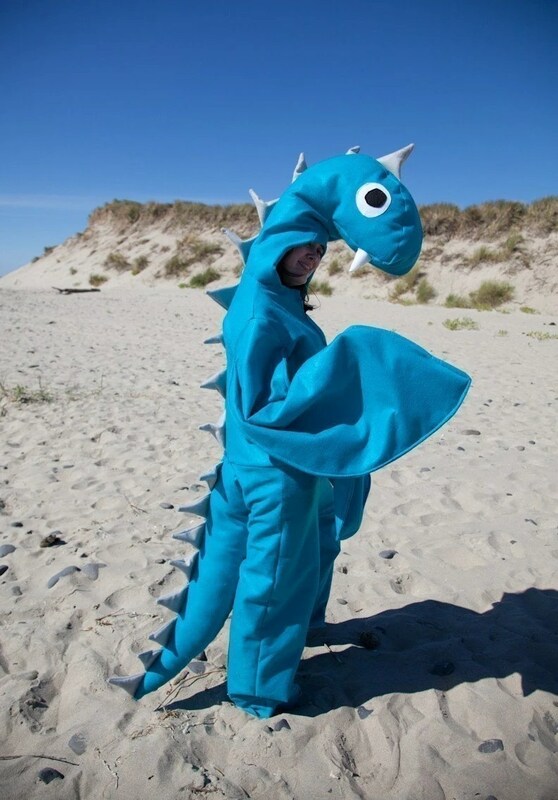 For $150 you could go as a Loch Ness Monster. Or how about Bigfoot Sasquatch? 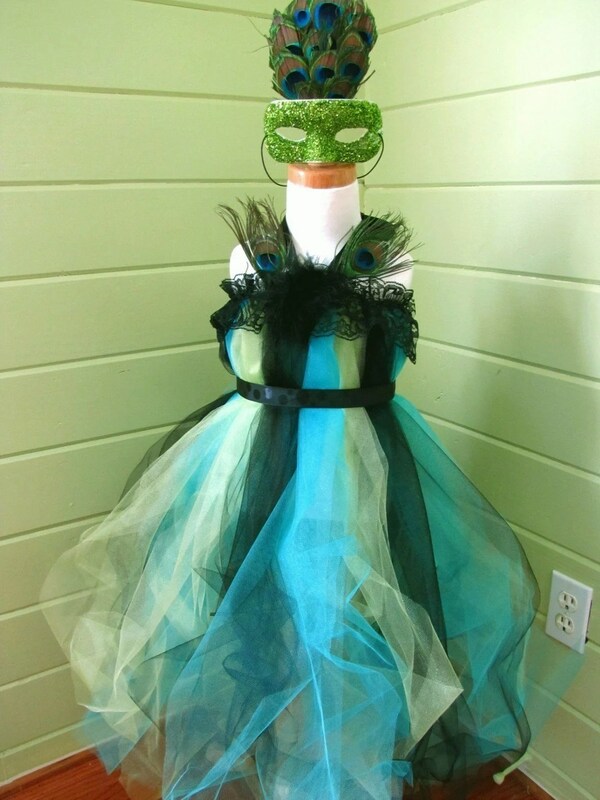 For just $60, you could be a “prissy peacock” – I love the mask! 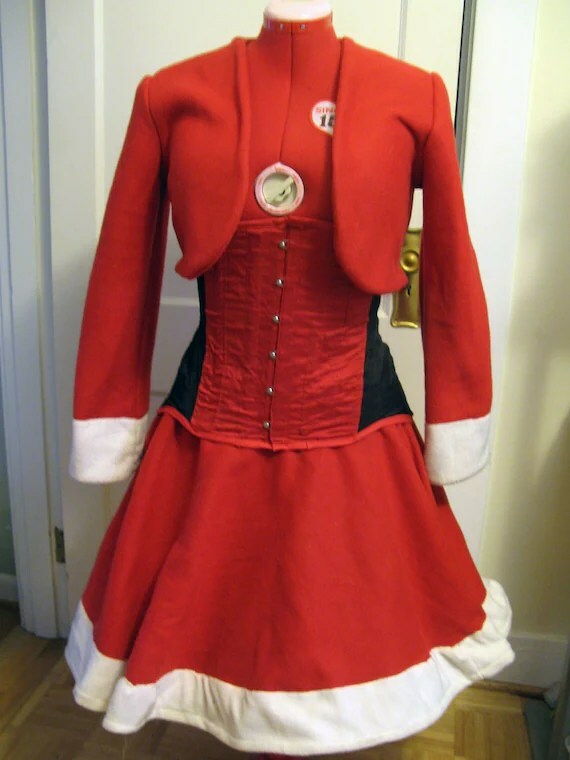 You could start prepping for the Christmas season early, and go as Mrs. Clause. Of course, there is always the Monster Zombie Potato. the banana slug!!! Growing up with a ranch in Santa Cruz, I’ve seen a ton of banana slugs in my life time and I love them. 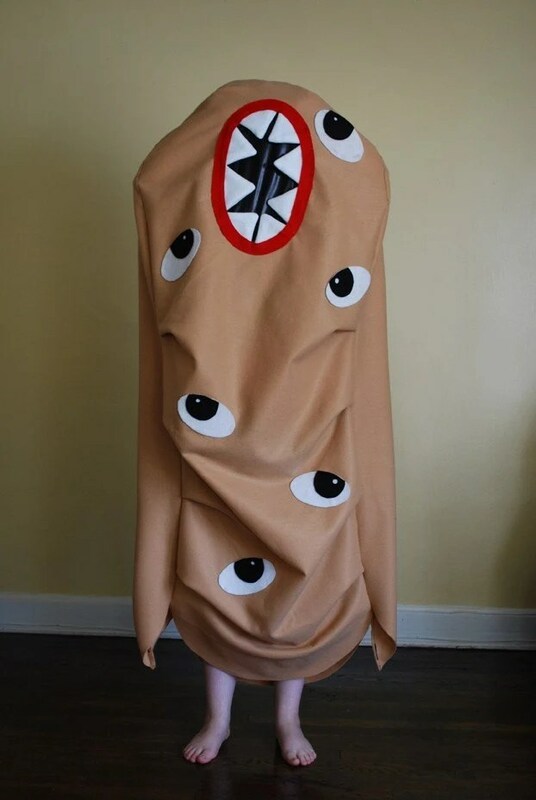 This costume has got my vote! 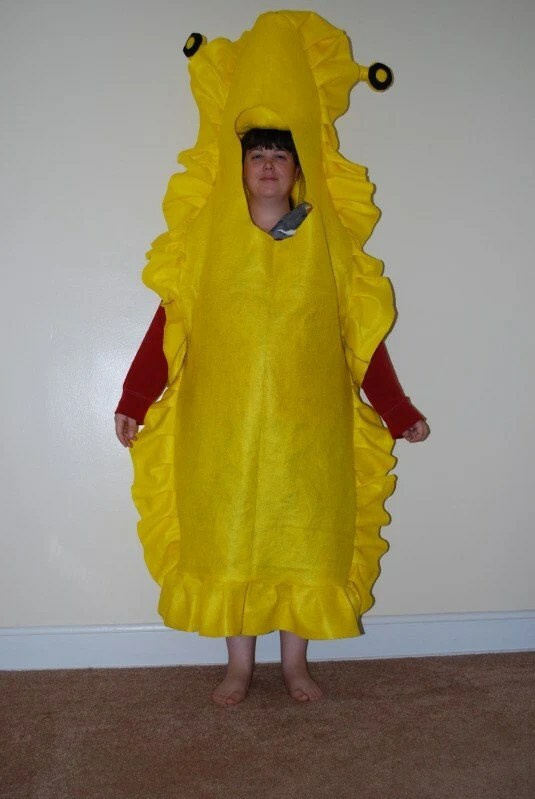 What would you or are you going to dress up as? 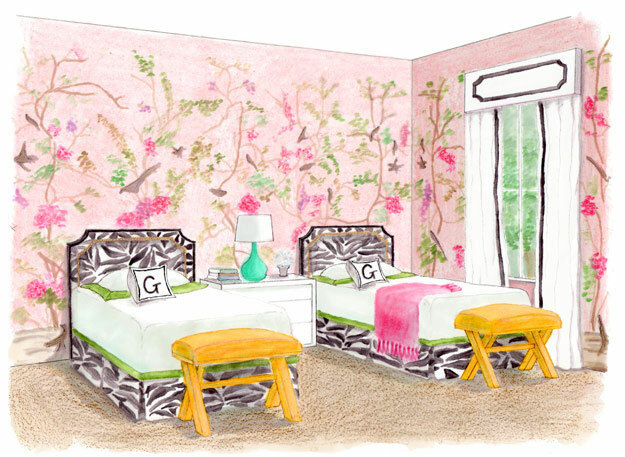 Elle Decor is co-hosting a showhouse with the Junior League of San Francisco. It’ll be open November 4 -21; I’ll be attending the opening gala, which I couldn’t be more excited about. One of the rooms that I’m most anxious to see is the girl’s room created by Grant K. Gibson. 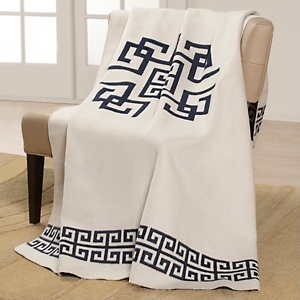 I love it when designers who have access to very high end fabrics get creative and turn to the money saving solution. Although not everything is low end. 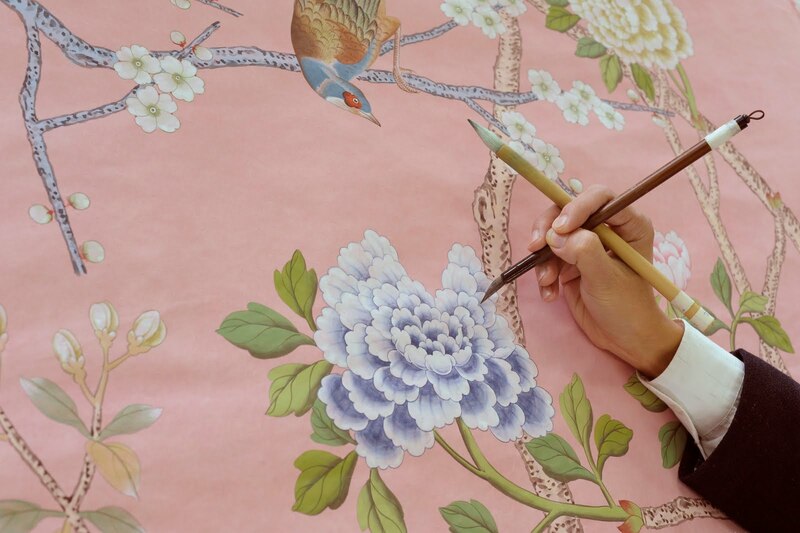 The real show stopper in the room will be the de Gourney wallpaper he had hand painted for the room. Wow! Show-stopper!! I’m so excited to see the room; I’ll be sharing photos on my blog after the event. 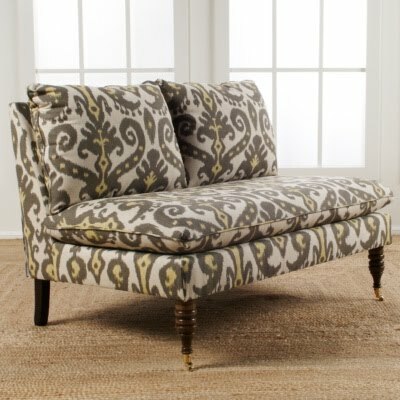 Is anyone else as crazy for the One Kings Lane Tastemaker sales as I am? I get giddy for each one! They happen every Tuesday at 6PM (pacific time) and every Saturday at 8 AM (pacific time). 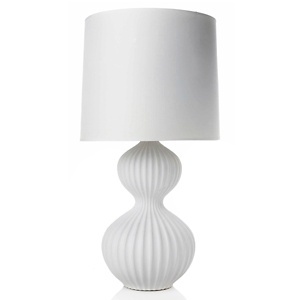 One Kings Lane is an online discount store for decor and the Tastemaker sales are when hot designers get to sell items that they own, for a fraction of the retail price. 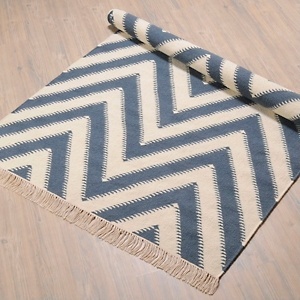 Tastemaker sales are really the creme de la creme of sales because they are very selective in the designers they choose. 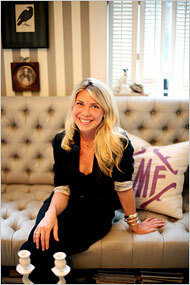 I’m especially excited for tonight’s tastemaker sale: Tori Mellot. Tori was the decoration editor for Domino, creative deputy director of merchandising at Martha Stewart Living and is currently the project designer for the Nate Burkus show. What a dream resume! I want to be her! Doesn’t it make a huge impact? And the lighting really grabs your attention. I desperately want that scallop edge coffee table…I wonder if it’ll be for sale tonight. Love the happy wallpaper (Manuel Canovas “Jouvance” in Anis wallpaper) with the Kelly Green cabinets (paint color – “Bed of Prime” by Pratt and Lambert). And after all that color and pattern, the simplicity of her bedroom hits such a soothing note. Guess the square footage on this badboy apartment…450 square feet! Yep – even small places can be stylish to boot. If you are not already a member of One King’s Lane, sign up today – it’s worth it! (You can either click on wherever it says “One King’s Lane” in this post or send me an e-mail and I’ll invite you to join: katecollinsinteriors@gmail.com). 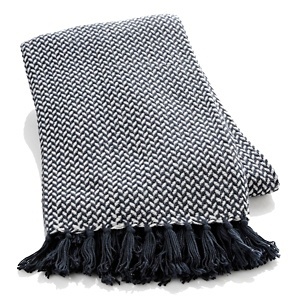 You have to get to the sales quickly because the items sell out fast! Today, I’ve got to give some praise to python in decor. FAUX python, of course! 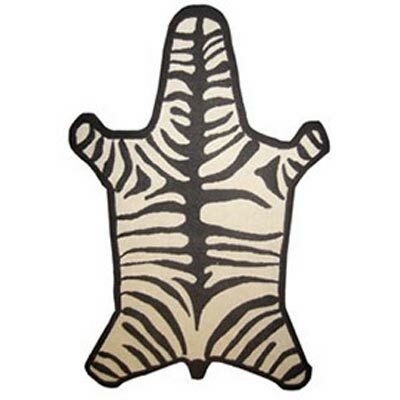 Lately, I’ve been loving just a touch of animal print in a room. One of the greatest places, I’ve seen it used recently is the bathroom, a fun way to add in some glamor. Lindsay Coral Harper – punchy red accents are a fantastic fit! 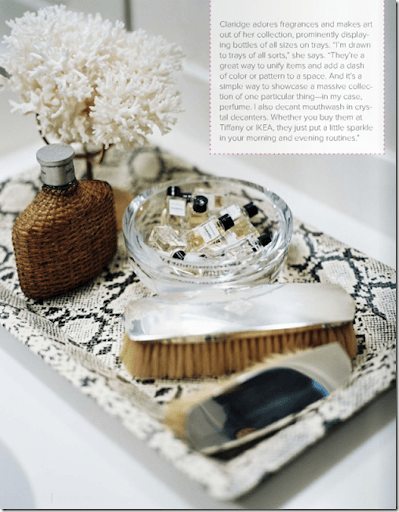 It seems that every issue of Lonny lately has a python tray in it – may be an overdone look, but I still love it! The necessary tray to corral all bathroom essentials. Betsy Burnham bathroom – love this custom made faux python mirror with the Katie Ridder wallpaper – perfection! In terms of a bathroom space, wouldn’t it look great next to a bathtub centered in the room with a black base…a la Jenna Lyon’s bathroom? Actually, Jenna’s should be left as is – but a black bathroom along those lines would be great with a touch of python. 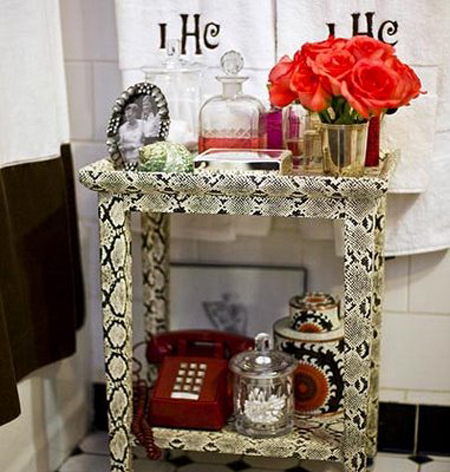 Of course, faux python doesn’t have to remain in the bathroom. 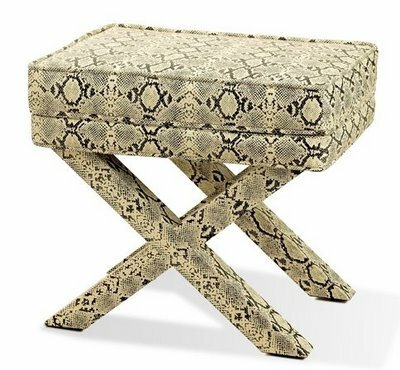 I’m considering covering cushions for our dining room table benches in faux python or I may use it for the piping and do the base in gray faux ostrich. Yummy! 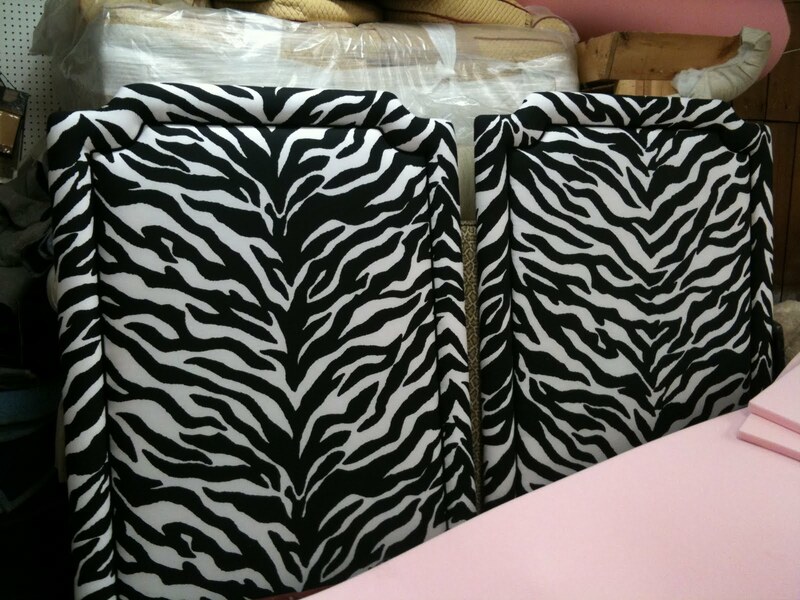 Fingers crossed these cushions make it into the budget!! Happy Friday everyone! Hope you are excited for your weekend plans. What are you up to? I’m not much of a sports fan, in general. But, I’ve got to take time out this Friday to dedicate a post to the Giants. I won’t talk about what happened last night, rather about how we’re going to win on Saturday. Go Giants! To cheer them on – here are some orange rooms I adore (orange and black are their colors). I love the deep persimmon color on the walls of this sitting room. The orange floors really add to the retro vibe of this home. Geoffrey Bradfield designed this room for the 2008 Kips Bay Show House – go bold or go home, right? I love the pops of orange throughout Kathryn Ireland’s Ojai home. 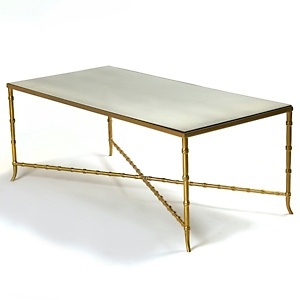 Gilt Bamboo coffee table for $189.95! Now that you see all the great work these two gents have been doing for HSN, are you also in love? Thanks to reader, Katie, for helping me think up today’s topic!